Enable businesses with two or more locations to tap into their review scores and pinpoint their best and worst performers. Brand Analytics shows businesses with multiple locations all of their reputation data, allowing them to easily monitor their online brand. It doesn’t matter how much money companies pour into national advertising campaigns, customers are still going to judge their brand by how clean the bathroom is at the nearest location. If your clients have multiple locations, they need an easy way to monitor all of their reputation data. 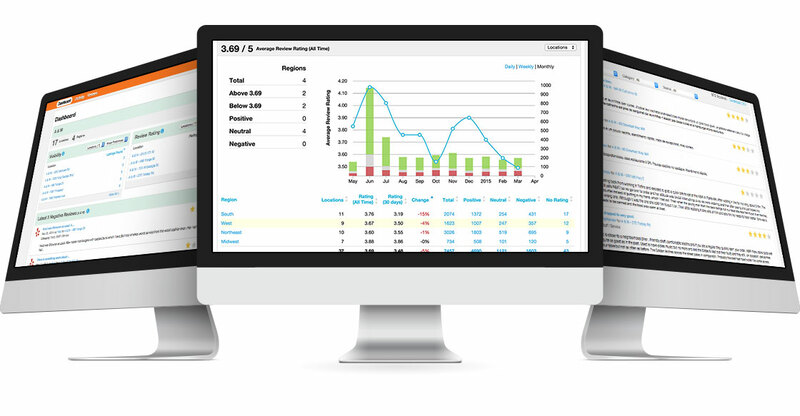 Vendasta’s Brand Analytics is the best-in-class tool for multi-location reputation reporting. Brand Analytics simplifies presence management for multi-location businesses by reporting coverage of all their major directory listings. Brand Analytics is great for small business and large brands alike. There is no limit on the amount of locations that can be added to reports. View total listings across all branches and regions. See which sources you’re missing from and which listings have possible errors. Sort, search and read reviews by region, location, keyword or rating. Local businesses can request reviews with customer generated lists.